First pride, then the crash—the bigger the ego, the harder the fall. Little did I know as a young girl all that was going to occur in my life. Molested, lonely, teased, bullied, abandoned, date raped, physical injuries… as much happened to my outsides as did to my insides. In an attempt to keep a lid on all that, and more, I shoved it all down under close watch, using a razor sharp tongue and sarcastic humor to protect myself from further wounding. On the outside, I appeared to have it all together. I was proud of how no one noticed. Seriously.. And because I could hold it all together (at least I thought I could with the lie I told myself at that time) I didn’t have much use for people who fell apart at the first sign of trouble. 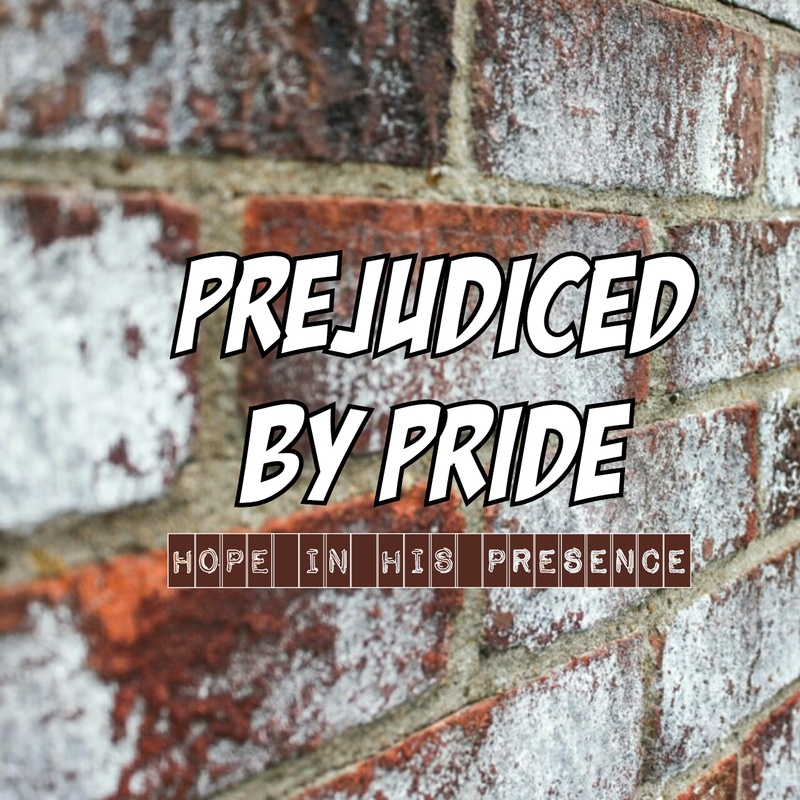 My pride led to prejudice. And colored my worldview glimpse of my neighbors for quite awhile. After God met me in the pit of my own making, many things had changed instantly. My pride at keeping a lid on what was swirling below wasn’t one of them. Soon after, I married into a family of extremes. High highs and low lows, there always seemed to be a lot of drama ready to erupt. Coming from my background, heavily influenced by my staunch British raised step father’s upbringing, this just added fuel to the fire of my pride. I was proud my family didn’t have so much drama, until some of the history was shared with my bewildered ears, and I realized my family drama may not have been visible, but was equally dramatic, especially as it had been hidden away under…you guessed it, pride. My side of the family (both my maternal & paternal) is exceptionally talented with their hands & minds. The one flaw? The privacy of pride. All of us, to some degree or another, want to keep our stuff private. God wants us to be free from secrets that harm, lies we are ensnared by, and emotions that threaten to overwhelm us if they are released. Pride is one of the keys we need to hand over to God, so He can set us free from its cage, and destroy its hold on us. I know, because I ran full tilt into that cage, and lived there for way longer than I came to admit. We don’t look at the world, others or ourselves from His viewpoint when pride us in the way, but our pride-led knee jerk reactions. Take Mr Darcy for example. Raised well, he was instructed how to live a good life, without the guidance of his parents to help him avoid the pitfall of pride. Like his home, Pemberly, he was made of stone. Pride & propriety before all at the beginning of Pride & Prejudice. After meeting & falling in love with Lizzy Bennet, he began to question how his pride led him astray into actions he looked back on with regret. Lizzy Bennet, a very sharp intelligent woman also struggled with pride. Her encounters with Mr Darcy slowly stripped her prejudice from her eyes as the truth of his character was revealed to her over time. Two characters, from different rank & backgrounds, both struggled with pride. And they are not alone, are they? The enemy was the first fall from pride, and takes great delight in luring humanity into that same fall. Pride doesn’t allow for change, weakness or a plea for assistance. It only leads one way until it is uprooted. If any if these words strikes chord or resonate within, head for the secret place. God will reveal the state of our minds & hearts to us if we ask, and wait for His response. But God doesn’t leave us there, once we realize we were in the out of our own making. He lifts us out, restores our peace, imparts hope and new life, and takes us by the hand as we move on with Him. The only One worthy of being proud is the humblest of us all. Jesus laid Himself down for us, and God elevated Him to His true position at His side after He did so, honoring Him. He can melt even the hardest heart with His gentle love. I’m glad that after what you went through you’ve come out better and that you’ve learned your lessons and allowed God to heal you. I love the line you wrote, “Pride doesn’t allow for change…” Isn’t that really what is at the heart of trying to look like we have it all together? Beautifully written this morning. Very grateful for your encouragement. Welcome! Yes. pride is trying to put a good show on the outside by placing a damper on the inside. As I well know, looks can be deceiving!